The entire point of advertising is to convince people that they want things, even if they don’t know why. This episode of Mad Men deals with all of its characters working towards their own desires, even when those desires are harmful. Don and Pete are both chasing after a friend’s wife, both of them get what they want, but only one seems to suffer the consequences. Don is struggling to end his affair with Sylvia, the wife of his doctor-neighbor we met last week in the season premiere. This affair is unusual for Don, who in the past was careful to separate his infidelities from his home life. The couple of times that Don cheated on Betty with someone who had a relationship with the family, Sally’s teacher for example, it completely blew up in his face. The affair with Sylvia goes one step further, as she appears to be one of the only close friends that Megan, Don’s young wife, actually has. Megan is a character that has felt confined ever since she left her job at the Sterling Cooper Draper Pryce to pursue her dream of being an actress. Even now that Megan has found a growing role on a successful soap opera, it still feels like Megan is cut off from almost everyone else. She is lonely, and this makes Don’s affair with her only close friend even more despicable. Where the affair turns to heartbreaking, is when Megan confides to Sylvia that she recently had a miscarriage. Megan is emotionally shaken, confused, and angry at herself, especially because she had been considering whether to terminate the pregnancy. Megan eventually tells Don about the miscarriage, and about her own conflicting desires for a family and a career. Here is where Don has to face his own internal emotions surrounding Megan’s pregnancy and his affair, but all he finds inside is more emptiness. A recurring thread throughout this episode is Don’s unusual moral compass surrounding the women in his life. We have watched Don gleefully cheat, manipulate, and lie to both of his wives. He is an unrepentant womanizer who uses them to get whatever he wants and then feels nothing when he walks away. The relationship between Don and Joan, however, is completely different. Last season when the company partners essentially prostituted Joan out to the Jaguar representative, Don was the only one who told her not to do it. Even when they offered her a partnership, Don told her it wasn’t worth it. When the same slimy Jaguar salesman returns this episode, Don manages to take his revenge and make him seem incompetent. Joan also managed to get in a great fat joke. This storyline is intercut with flashbacks of Don’s childhood growing up in a brothel, surrounded by pimps, prostitutes and their customers. I found this to be the least necessary part of the episode. The audience was already aware of Don’s brothel origins, and the brief glimpses into the past seem to only drive home the fact that Don has a very strange way of looking at women. We get it AMC, Don Draper is complicated. I mentioned at the start that everybody’s favourite weasel Pete Campbell was also in hot pursuit of his neighbours wife, Brenda. Despite the fact that she lives literally across the street, Pete has her meet him at his apartment in the city. At first it appears that Pete may have learned from Don’s mistakes regarding infidelities near home by keeping Brenda far away from his wife Trudy, but his situation soon starts to crumble around him. Brenda turns at their front door, having been beaten to a pulp by her husband. While Trudy is concerned for her friend, Pete can only lash out at Brenda, demanding to know if she told her husband about them. Shortly after, Brenda informs Trudy about the affair with Pete, and we finally get to see her wrath. 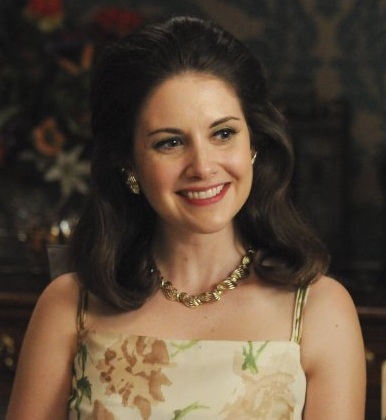 For six years we’ve watched Trudy play a supporting role in Mad Men. She seemed at times to be a stereotypical housewife. She married a charming man with a career on the rise, and convinced him to move to the suburbs and start of family. For several years, it seemed Like Trudy was just the younger version of Betty Draper. When Trudy is informed of Pete’s affair, however, she chooses a decidedly un-Betty like course of action. Betty had inclinations about Don’s infidelity for years, but never did anything about it. She kept working on the building the perfect 1950’s fantasy home life, while the anger built up in her to such an extent it seems like she’s incapable of happiness anymore. Trudy is not like Betty. 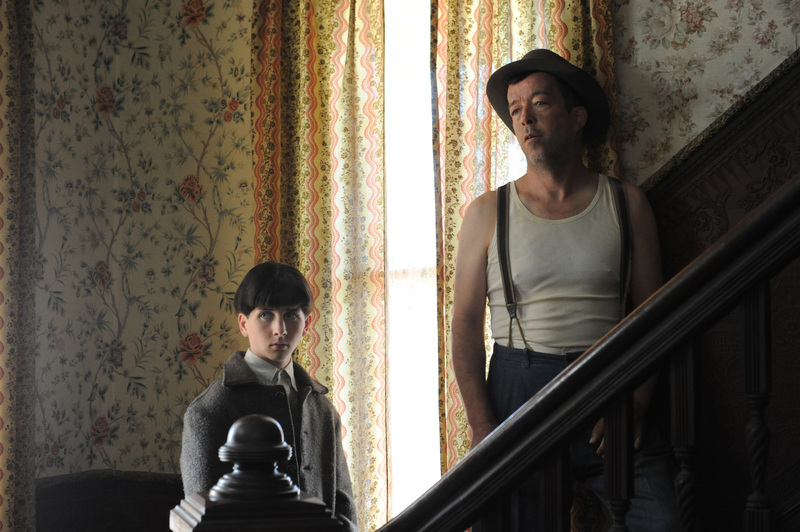 She confronts Pete immediately. And not even to ask if it’s true, she knows it is. She merely lays out their new living and social arrangement’s, and informs Pete that if he disobeys her wishes she will ruin him. After years of seeing her be sweet and demure, it was great to see Trudy verbally smack down her philandering husband. The difference between Trudy and Betty can be seen as Mad Men’s way of tackling the women’s liberation movement of the 1960’s. Trudy is not content to be the quiet housewife standing by her man. She knows what she wants, she has her own goals, and she’s not afraid to take charge. She will not be passive and accept her husbands betrayal. If Don and Betty represented the decay of the perfect 50’s marriage, Pete and Trudy herald the changing of social roles in the late 60’s and 70’s. It was great to see Trudy take a stand and Pete get the comeuppance he deserves.